Punishment by Nancy Miller Gomez is an eye-opening chapbook of poems and essays about what punishment actually is — beyond the concrete walls and bars on the windows and doors. This is a chapbook that packs a serious punch in the gut from the title poem, “Punishment” to the essays on how poetry not only taught the prisoners how to see beyond their four walls but the poet how to see things and people differently. When caged like an animal and treated inhumanely how would you react if you did not have a blanket and the prison was unbearably cold? Would you have an ability to make a reasonable argument with the prison staff, or would you resort to the basest of reactions? Would you give up that which is most precious to you, like a family bible with calming words or a photo album that comforts you in darkness when your family cannot be near? Readers are asked to think about these questions and to see beyond the crimes and the violence of these men to see the humans broken here. Gomez deftly places readers inside the prison with her students who still tentatively work on poems and show small kindnesses to one another even as they know once outside the classroom they must return to their “hard” selves — no longer showing emotion or kindness. Even though she is given permission to teach poetry to the prisoners, the staff make not effort to welcome her, but in fact remind her in the least subtle of ways that she is under their control and direction and that her freedoms are left outside. expands inside him like smoke. Punishment by Nancy Miller Gomez is an exploration of how poetry and words can provide hope and satisfaction to those who have none. It can help them explore what is good without compromising their prison personas. Gomez is asking the reader to see these men as human beings — men with hopes, deep losses, and so much more. Nancy Miller Gomez grew up in Kansas but currently lives in Santa Cruz, California. Her work has appeared in River Styx, Rattle, Bellingham Review, Nimrod, and elsewhere. She has a Masters in Fine Arts in Writing from Pacific University. She has worked as a stable hand, an attorney, and a TV producer, and volunteers as the director of the Santa Cruz Poetry Project, an organization that provides poetry and writing workshops to incarcerated men and women. 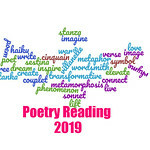 For more information on the Santa Cruz Poetry Project, visit their website.